Thank you Robbie! The Newsletter will make much more sense now. Bruna : wait, which one? The Open Masters course was so deep and meaningful for me. I’ve already tried to do 2 different universities, Mechanic Engineering and Business Administration, but I always felt that I was not really learning because I never liked the traditional way to study. Now, in the Open Masters course I found a new and wonderful way to study: discovering what my better form to absorb knowledge is! The methodology helped us to understand that our mind and body operational systems are so similar to nature that we, also follow the seasons. For example: the winter phase is the time to dream about what we want to learn. In Spring, our ideas start to come to the world and we start to move ourselves to action. When the Summer comes, we are ready to take action and make whatever we want. After the action time, we dive in to the Fall to collect, organize and share the knowledges that Summer brought to us. I think that when we begin our own learning journeys we really feel the power of knowledge because we became owners of our learning. We become more responsible and our skills increase faster than in a traditional education system. 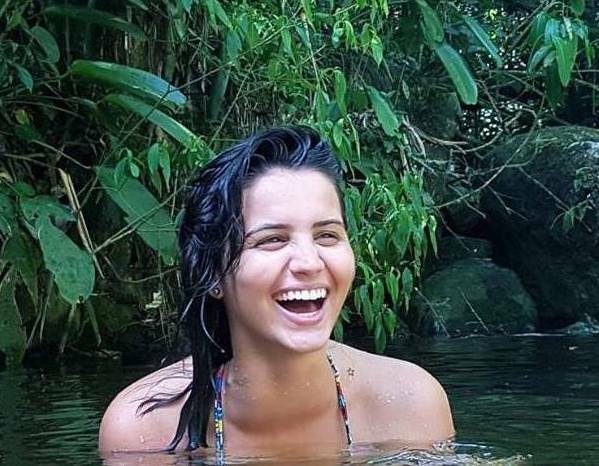 Once upon a time, there was a group of young people, living together as a community in Brazil. They had come from all across the globe, and each one was full of fire. They carried with them their own stories, yet very few identified as storytellers. However, in the world they were a part of, there was a crying need for stories. These words had the power to transform worlds, solve conflicts, and bring opposites together through sharing. One day, two master storytellers came to Piracanga, to teach this new found community – known as the YIPUNI – how to tell tales. They were all invited to choose a story from the ground. Across the temple floor lay scattered sheets, words facing the ground, each still an untold mystery. Smaller groups with the same narrations formed. Each one knew that within days, they would be stepping up to share their stories. The master storytellers taught the YIPUNI the magic of storytelling. They showed them how to narrate words, paint pictures and leave space for the listener’s imagination. They questioned, laughed, and blinked away tears. Many times throughout the week, pairs sat together and told stories on the spot. They tapped into the wisdom of the teller that lived within them all. Because in those moments, the right words came. On the third evening, the community gathered as the master storytellers told their own myths. All sat poised on the front of the chair, so as not to miss a single syllable. The following evening, the first of the YIPUNI’s stood up to tell the tales they had been working on. While some had struggled with their narrative, the meaning of the sentences changed as time went by. The story’s had chosen them, rather than the other way around. On Saturday, they spent the morning together one final time, submerged in words, hearing one tale after the next until they came together in beautiful blur of emotions and individual expressions. The week was an incredible journey through the past and the present, exploring the myths that have shaped each one. The YIPUNI learned that each one of them is a storyteller. Yet their adventure has only just began. They have mountains of phrases to climb, rives of syllables to cross, and there are still so many stories to be shared. What did we get up to during winter break? It’s been months since our last week of vacation in October. Within then and now, so much has changed – and not just the scenery. 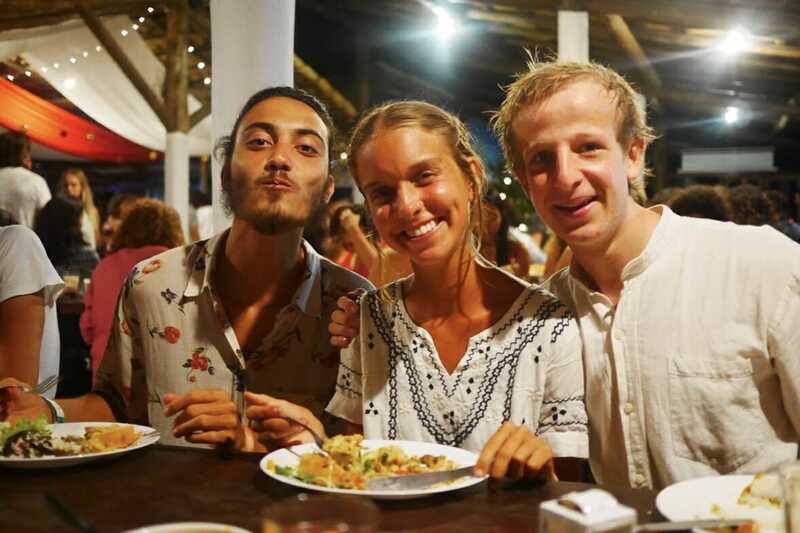 After being in Brazil for one month, the UNI students and the Yippies had a two week long break. 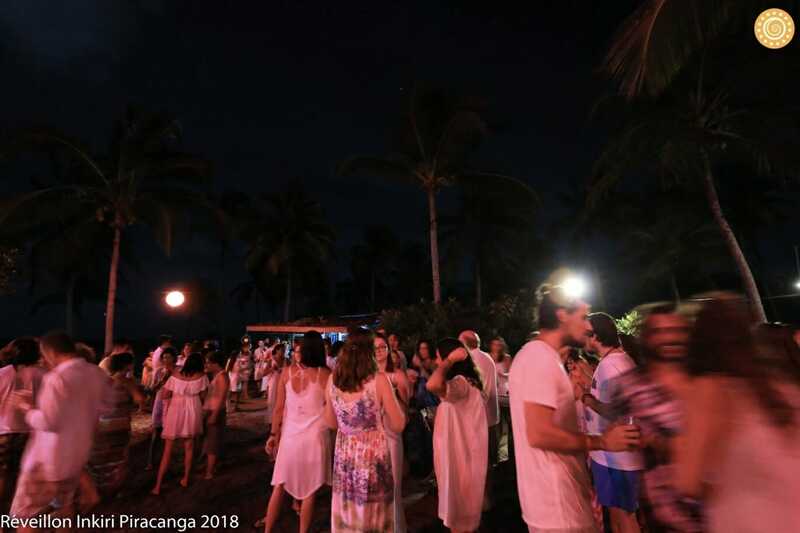 While Piracanga flooded full with unknown visitors, others left the eco village. Many of the UNI’s went home to spend the holidays with their family. As for the Yippies, some adventures occurred. There was an explorative expedition to Salvador, and a very spontaneous journey to the unknown. Some stayed behind, enjoying a river-side and ocean-filled vacation. There was a large community dinner on Christmas Eve, and we organised a YIPUNI potluck on the 25th. On New Years, there was a party in the centre, and we had our own, small dinner in Casa Floresta with the leftover Yippies. It was a tranquil event, and as night set we headed to the beach. We made a campfire, watched the flames and the waves, and sang for the stars until after midnight. This break was a time of looking back and processing, yet is was also an opportunity to look forward. For YIP, the initiative weeks are waiting for us shortly after we return from our internships. Nearly a month of empty slots, to fill in with whatever YIP10 still longs for. We organised a World Café (for the first time pulling out our Art of Hosting toolkit) to gather our until-then scattered ideas. We ended up with sheets of harvested dreams. It was a space in which YIP10 came together again, and it reminded us t hat however far away it seems, Sweden is still on the horizon. It’s now less than four weeks to go before we bid farewell to Brazil and head off to our internship locations. Now we’re back in the course, thrown from sunny days to greyer skies as the temperatures rise. The end is in sight, but before then we have rivers to cross, oceans to pass through, and unknown group challenges to face. 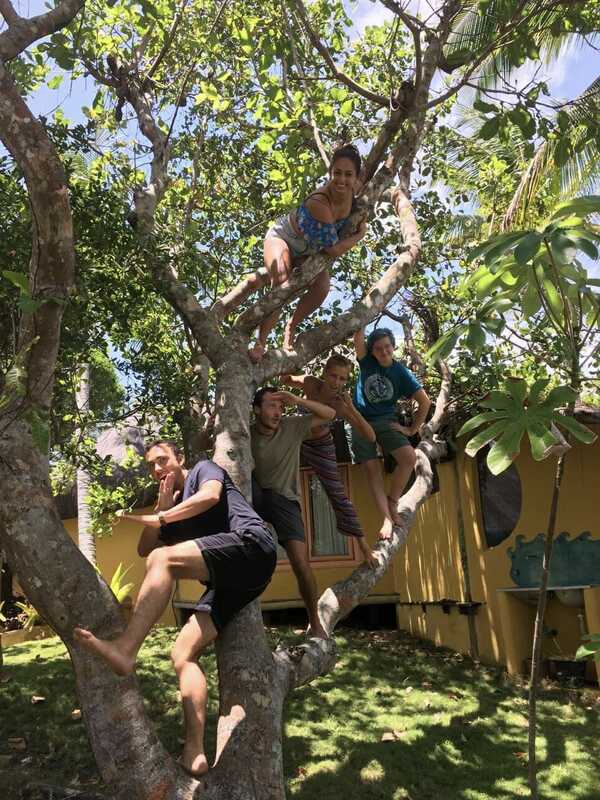 After an inspiring week of circular dances, games, deep sharing spaces, and day challenges, for the next 2 weeks the YIPUNI community has to work together in a fast, free and fun way to do something spectacular! for the larger community around. A larger community could be Piracanga or other little villages on the surroundings. Edgard brought his wisdom, heart and charisma to invite/challenge us to tap into our individual and collective super powers to create magic and manifest what before was though as impossible. The enchantment receipt is to collect people’s stories, listen to their dreams, have open the heart and create friendships. Then add our personal life experience and skills. Then united all to super powers to be in service of what is needed or wished for the place. The final touch is to have fun and know that when we put our powers together everything is possible. P.S. 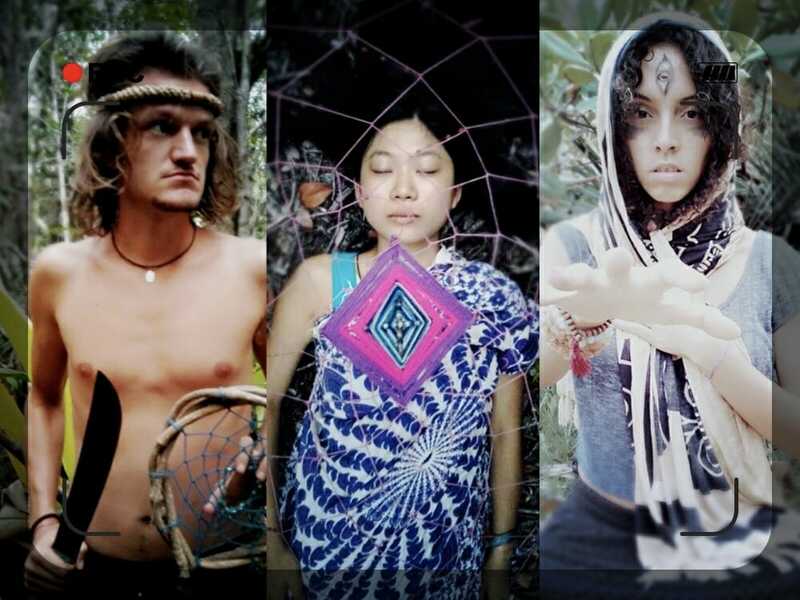 Follow these superpeople on Facebook – Kakarma, YipUniOasis, Climb the change. YIPUNI students during the Playing for Change course. How I am putting my talents in action! 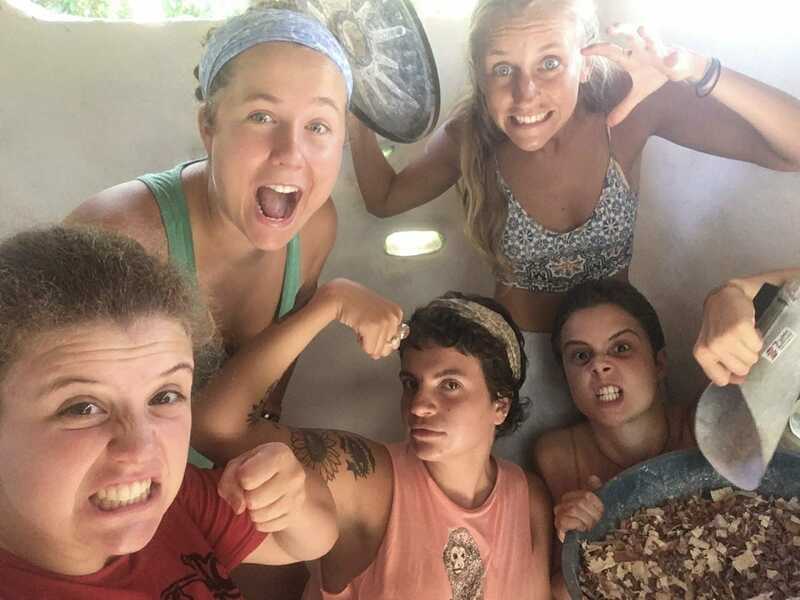 The experience at Piracanga has been so powerful for me because the YIP and UNI mix is bringing challenges and visions that are so important to my real life. Two years ago, I decided to dedicate myself to learn more about human development and education. I began to work with these topics in a company called PROVE, here in Brazil. PROVE gives workshops about self-knowledge and self-development to students from high school and university. They use individual and collective dynamics and playing games that help us look inside ourselves and question ourselves about the values, world vision, beliefs and standards that we follow in society. They also dive deeply in activities of authenticity, relationships and the expression of our voices in the world. Living the Art of Hosting, Open Masters and Storytelling courses, I have realized that I will come back home more ready to give to these youth experiences that can transform their lives and their vision, empower then to make better decisions, explore their relationships and express their voice in the world in a stronger way. It’s very hard to get bored at Piracanga, YIPUNI members come up with all kinds of ways to fill the days until the last minute. Gaba training during December was the biggest hit of the morning activities, filling the inspired bodies with muscle pain and a lot of sand in their calzones. Every morning during the announcements some new initiative develops itself bringing us together to meditate or practice yoga or go surfing or taking an aerial fabrics class before starting our days. Yippies on cacao breaks and lunch breaks had a number of meetings about internship and what they’d do for the initiative weeks. As well as that, all houses must take initiative to make dinner-Who will buy the food? What time do me make the food? How do we make better food? One time we had a Poetry Open Mic after dinner where we shared our words in our own languages and last night many men gathered in a circle to open a conversation on gender-¿How do we understand what it means to be a women for women? what questions do men carry about sexuality? what are our stories? The experiences outside the courses are often some of the most enlightening: self organized solutions to our needs. When you have a group of 60 young people with questions and curiosity you also have 60 stories of the world, travels, games, conversations with our grandmothers, stories that carry the wisdom of the whole universe – the answers to many of our questions. If I have learned some thing about possibilities, it was community that taught me about it. I have a story about a big celebration organized with very little and receiving so much. On the second week we had here in Piracanga the project that I’ve worked on in the last years faced a crisis right before it launched because the funding we counted on backed up. Two weeks to gather money for the first Free Youth Activisim Seminar for Latin America (SAJAL website). Suddenly I had to come up with a fundraising campaign, something I’ve barely ever done and really thought I didn’t like doing. Living in a community of young people who’s intention is to take initiative and change the world, fundraising was very fruitful. On Tuesday I shared the need with the group in search of help to gather money which I thought only could happen by moving posts on Facebook. Talking to those who offered help opened to me a whole world of possibilities: “We can offer yoga classes”, “you can go to the restaurant and talk about SAJAL passing a jar around”, “we can sell dinner this Friday”. In that moment, my eyes shined because I learned that making money is not always boring, extremely hard or selfish. My friends showed me money making in a very simple way. Two days after this conversation a friend would come to our house to make pizza and it made no difference to him doing thirty instead of doing seven, so we called the whole YIPUNI community offering CHEESE to them (remember, we live in a (mostly)vegan community) and the house filled up with happy and hungry people who we fed with the pure purpose of fundraising. The funds were to gather activists from different Latin American countries in Mexico to give workshops, share experiences and process their realities all together. My housemates got very inspired by the project (and the cheese). They cooked for hours, without hesitating they organized the space, cleaned, got the ingredients. And I just had to sit up, welcome people and offer pizza. By the end of the night we had around $500 Reals, enough if you change it to Mexican pesos. Our ingredient costs were covered and we threw a big party where everyone finally gathered and met each other, shared, chatted, hung out and built community. From zero with a few hands and hearts we achieved a lot. And that was just the beginning. What if all the wars, disagreements, environmental issues, discrimination and so much more is because of the conversations that never happened? This is a question that lots of people from Art of Hosting are asking themselves. Having conversations is, in my opinion, a way of expressing feelings, thoughts, raising awareness and learning how to see things from different perspectives. All those conversations can result in better understanding for each other and the world and can lead towards concrete actions that can make the world a better place. Making important conversations happen is the foundation of Feed the Change. Feed the Change is a local leftover restaurant where those conversations can happen. The goal is to bring locals closer together through having important conversations and thinking about actions to take together. For example a small community can, after a conversation decide to make a place for compost together, build a communal space, recycle clothes, do sports together and so much more. The conversations can happen in different kinds of structures. The main one will be the setting of a world café with one main question and three sub questions. Every sub question is combined with a delicious dish. In between people will rotate, sit and talk with different people. 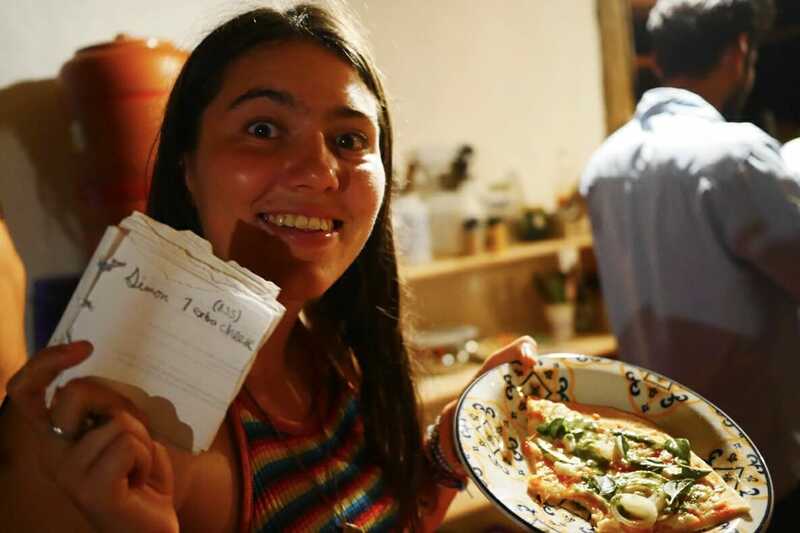 Feed the Change works with leftover food to have as little negative influence on the environment as possible, reduce waste and keep it cheap in order to make it available for everyone. Feed the Change is a beginning project. The 18th of December was the first try out at the Ecovillege Piracanga (see the picture). We gathered to try to answer the main question: What major needs and challenges do you see in your surrounding? With the support of a banana, cacoa and coconut shake, brownie (thanks to MacKenzie) and tea, we talked about the challenges we see and what we can do. It was amazing to try it out, to see things that can improve and to develop the project further. The next Feed the Change event will hopefully be located at SEKEM, in Egypt and after that in Holland and Sweden. In the end the idea is to locate it in Holland (Haarlem). So let’s have conversation that matters together, to understand ourselves, others and the world around us so we can work on a better world! We are facing so many challenges, why not facing them together in order to act towards positive change? Because we can take action in this world. Together. So, after all of this, what do you think about food and a good conversation?